If you, like us, consider music to be an essential part of home life, you'll no doubt desire a high quality speaker system. But even the best of the best are usually only built to cater for one room; what if you want music to follow you about the house as you... we don't know... vacuumed up, or something? What you need is a network speaker system that allows you to add additional units throughout your home. 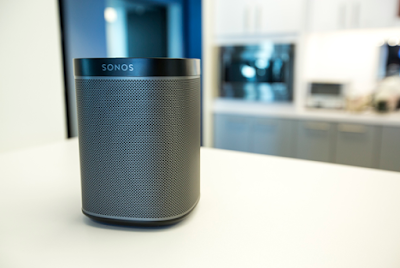 We check out the Sonos PLAY:1. The PLAY:1 from Sonos (who have always impressed us, and not just because their logo is the same upside down!!!) is a single WiFi speaker unit that packs a punch greater than the compact size suggests it could. It has been designed to not only play music direct from your phone or tablet – over the house WiFi – but also stream from music services such as Spotify and Deezer, and also the 1000s of preloaded digital radio stations via the Sonos app. And mentioning the app is very important here, as it is the window into the inner workings and connectivity of the Sonos PLAY:1. The product itself is exceptionally minimalist, with only a few small buttons on top to handle volume and play/pause. Everything else, from connecting to the WiFi to tweaking the sound, is managed entirely from the app, which we're happy t report is clean, neat, and very user friendly. 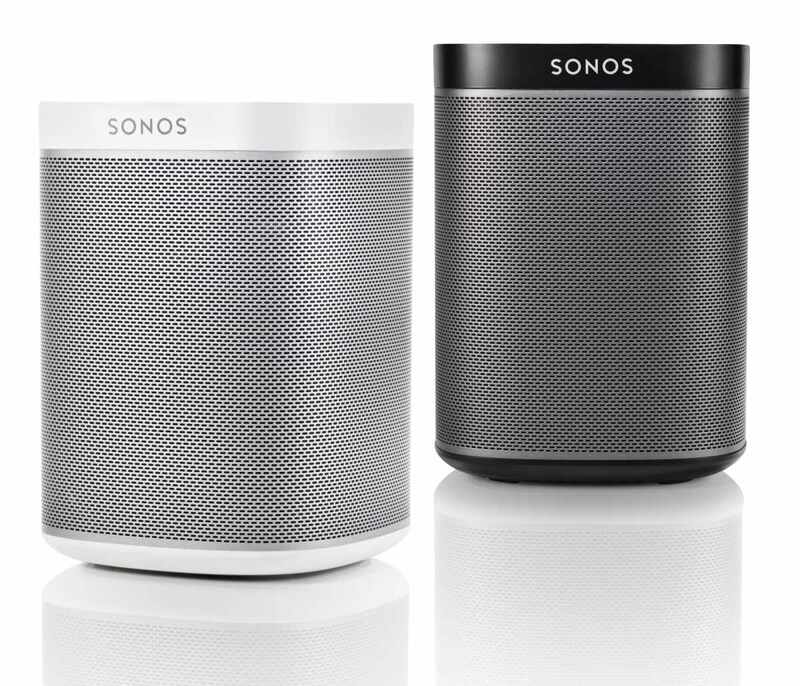 Although a single PLAY:1 is enough to produce some deep, intense and resounding beats (it features two digital amplifiers, a tweeter and a mid-woofer) Sonos would really like you to buy at least two, and use the app to set them up as stereo speakers. Home cinema use is stressed here, and the PLAY:1 even features a screw mount on the back to set it up on a stand. We tested just one unit, but can easily imagine the sheer power two of these things could kick out. 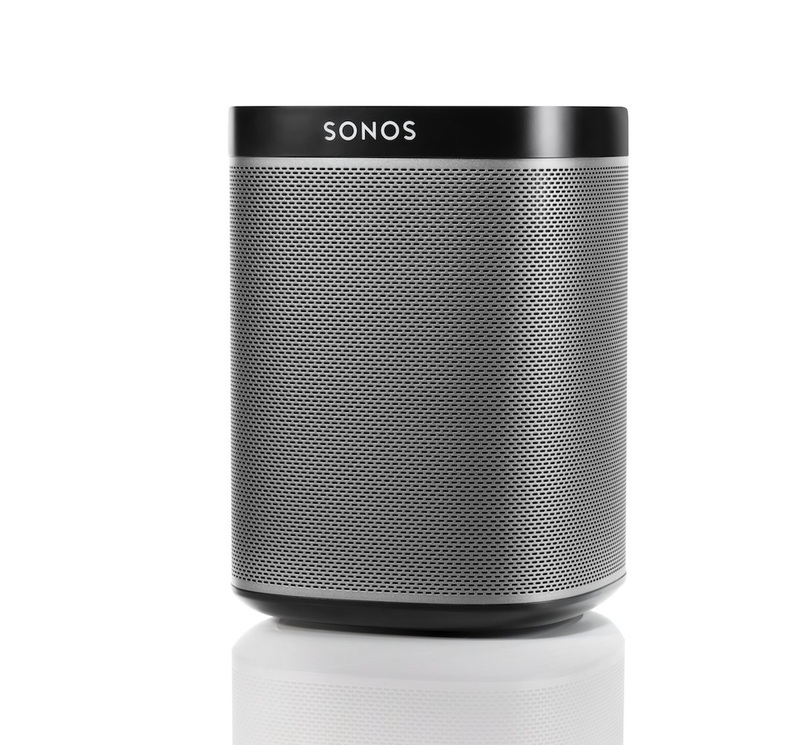 iPhone users rejoice, as you get an extra added benefit in owning a Sonos PLAY:1. Using the Trueplay feature of the speaker you can use your phone to tell the PLAY:1 what the room in which it is in is like, such as shape, wall material, size etc. This lets the speaker tailor how the music file is played, altering the levels to match the acoustics, and producing a far better sound. A great feature, especially for those with a keen ear and a love of tinkering. This is a great speaker in its own right, but the ability to add more to expand your system, while controlling the whole lot from the same app, makes it very desirable indeed.